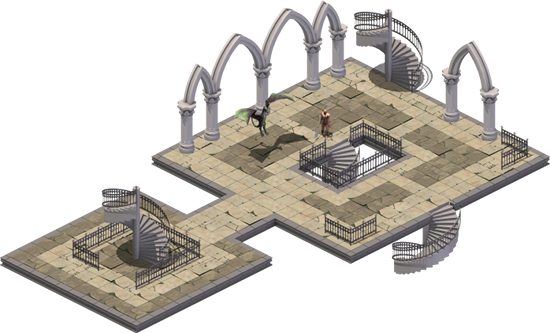 Free Gamer - Open Source Games: Good FOSS 3D action RPGs, nowhere to be found? So there are a few really prominent types of games which ought to have their FOSS representatives, right? Good and playable FOSS multi-player FPS games under active development? Good and playable FOSS RTS games under active development? Good and playable FOSS racing games under active development? Hmm... not an expert, but I guess Speed Dreams and Stunt Rally apply. Flight simulators, turn based strategy? Action RPGs like Diablo or Torchlight? So, there is the really cool project FLARE, which besides being not really playable yet is also more of a nostalgic effort. More playable but also with a similar demographic of potential players is Freedroid (besides having a maybe too Linux centric style). Maybe of interest seem to be DawnRPG and PARPG, but for both the above applies as well and they seem to be going into a rather different direction. Besides that, at least the latter seems to be not progressing well lately. The only game that comes to my mind that would fit is Summoning Wars, which is somewhat playable and even has a single-player campaign, but development is really slow and it is still a long way off what I would call a recommendable game to non-FOSS enthusiasts. All in all it is a very promising project, which is IMHO hold back by its lack of content creation tools (mainly, but not only a world editor). 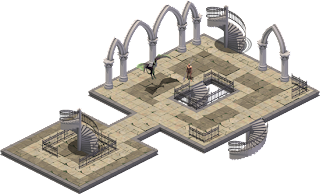 This is probably partially because of the intention to have randomly generated dungeons, but those are still really bland to look at, and should be complemented by parts or at least towns that are nicely designed by hand (those also exists, but must have been done in a text editor or such ;) ). Part of the rather slow development I guess was the poor choice of the graphics engine, e.g. 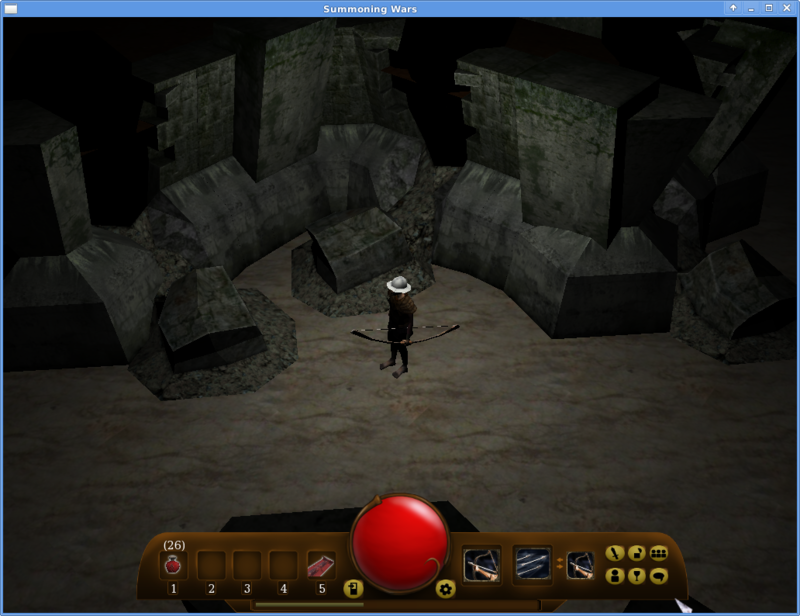 OGRE 3D which is foremost a programmers choice (due to nice features and good documentation), but a rather bad FOSS game developers choice in my opinion (due to the lack of a complete game-engine features and good tools). There are still a few really talented artists trying to contribute (1,2,3), and I recently proposed a creative re-use of 0 A.D. assets, but everything seems to be hitting a road block when it comes to easy tinkering with the game and getting things to actually run in game... and that is really demotivating to potential contributors (FOSS development advise 101 ;) ). So to sum it up? I think Summoning Wars is really not living up to what it could be, and the only solution I see would be the addition of a new and really motivated programmer to the team to solve the tool-chain problems and thus restart the active development again. Anyone interested??? P.S. : Not to forget mentioning it: There is also the IrrRPG builder, which could probably be a good base to build an action RPG too.